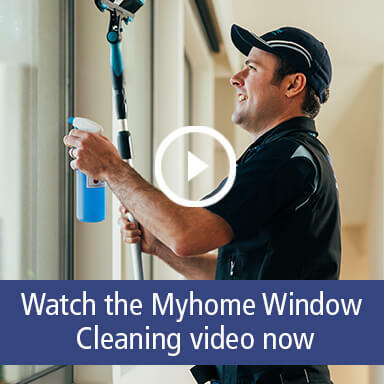 Put the sparkle back into your windows with the Myhome Elwood Window Cleaning team in Melbourne. Here at Myhome our Window Cleaning teams like to do things a little differently. Using our unique UltraPure Window Cleaning System, our Elwood Window Cleaners will take care of all your all your windows, doors, pool fencing; in fact – anything that is glass! Inside or out! You can book our Elwood Window Cleaners for a one off clean or for regular cleans, simply call us now on 13 22 31 for a free quote or contact us online.